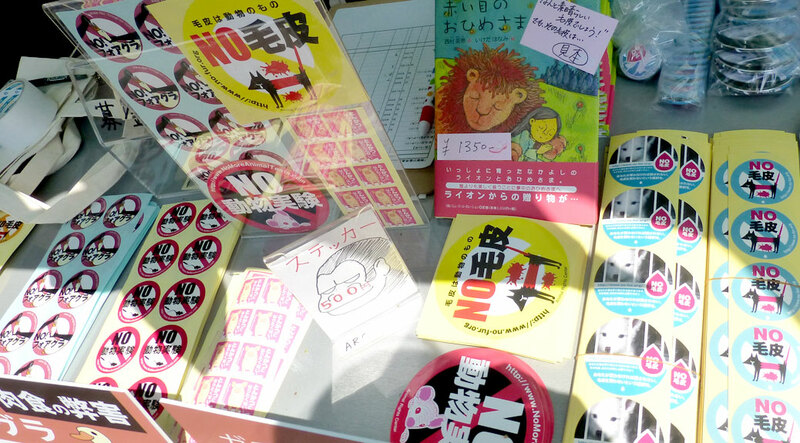 Tokyo provides a lot of opportunity for tourism, shopping… your typical big-city stuff. But, the gems of a city are in the alleyways and parks. 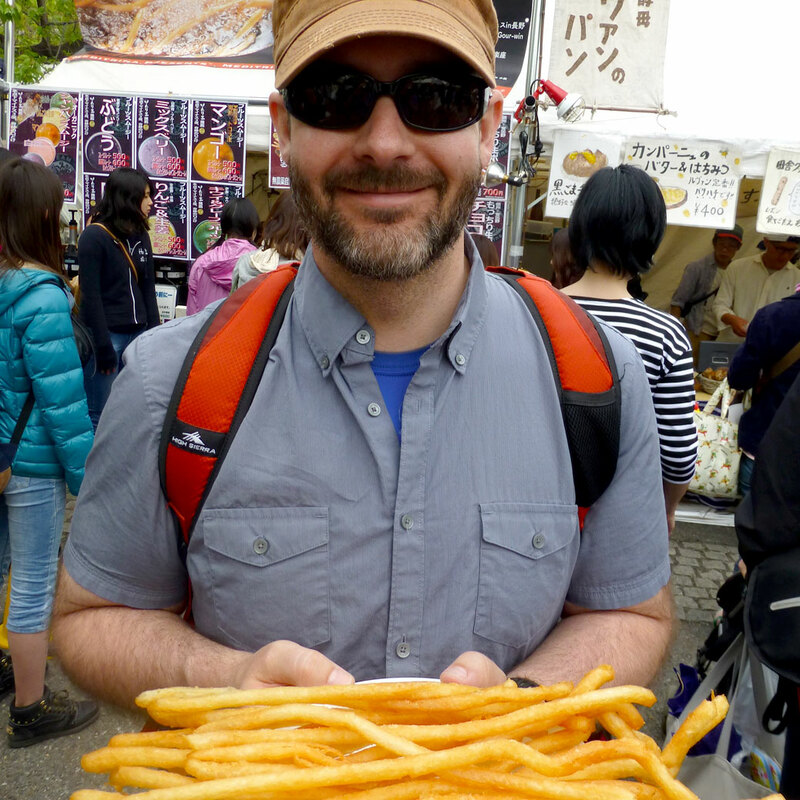 We found an abundance of both as our Tokyo adventures continued last weekend in Harajuku. The fashion scene was pretty subdued that day, but these girls were dancing in Yoyogi Park. 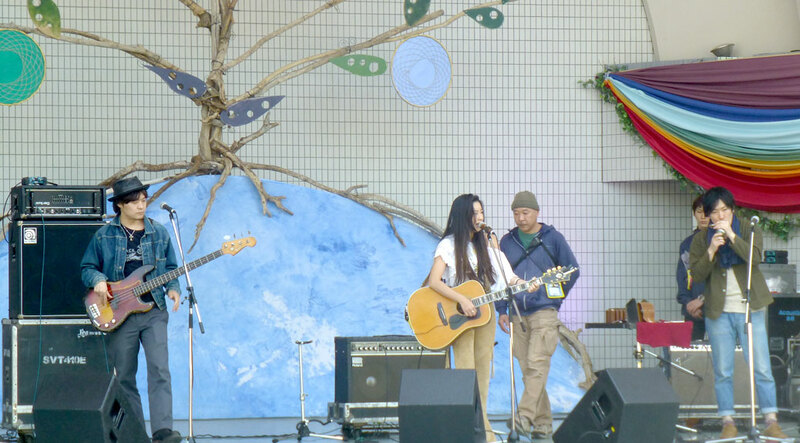 Our primary purpose for the visit was Tokyo’s Earth Day festival in Yoyogi Park, another of Tokyo’s fantastic public park spaces. Hundreds of vendors sold food and goods and non-profit organizations used the opportunity to reach thousands with their messages. 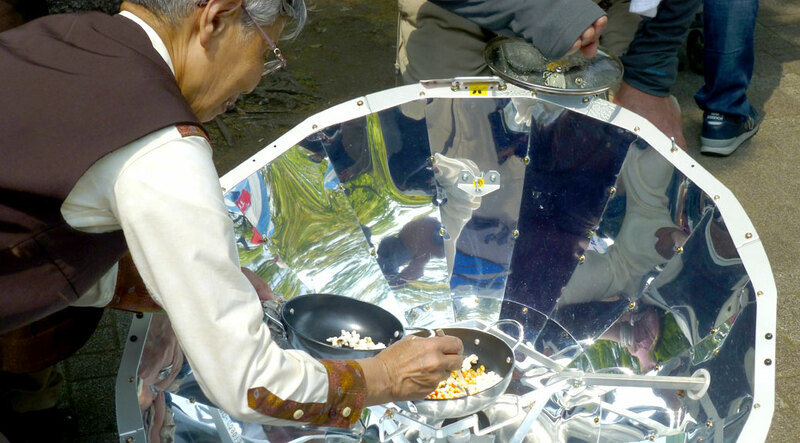 One booth demonstrated how you could pop corn with a reflector and sunlight. Others reminded us of our need for the ethical treatment of animals, our food and ourselves. Not being able to read food labels is actually one of the few real downers of being in Japan. We do the best we can. French fries as long as my arm. 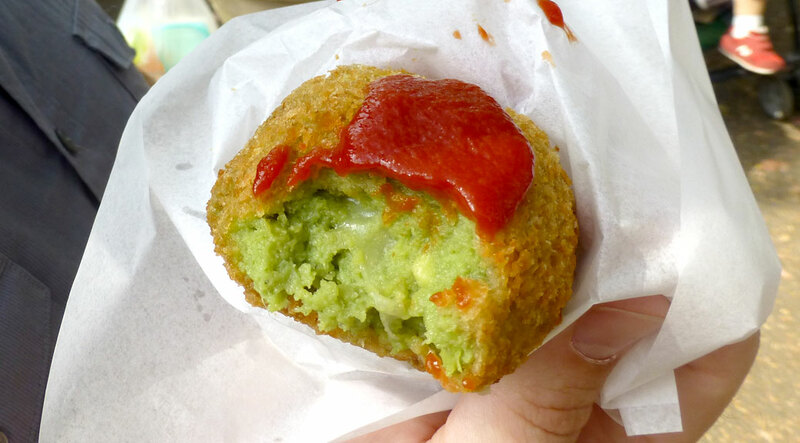 Then there’s the innovative, weird and just plain Tokyo. 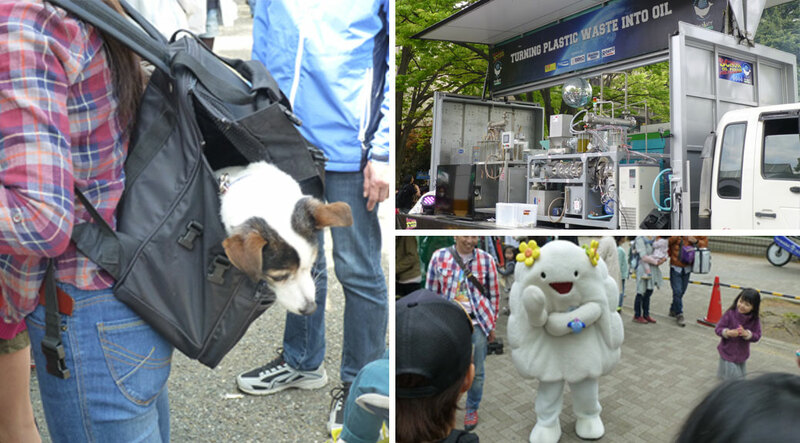 A dog in a backpack, a truck that turns plastic into oil and whatever that thing is. After the festival, we explored Harajuku. Shopping is abundant, of course, but there are little pockets of awesome all over the district. We grabbed some amazing raw milk ice cream in coffee at Shiroichi. 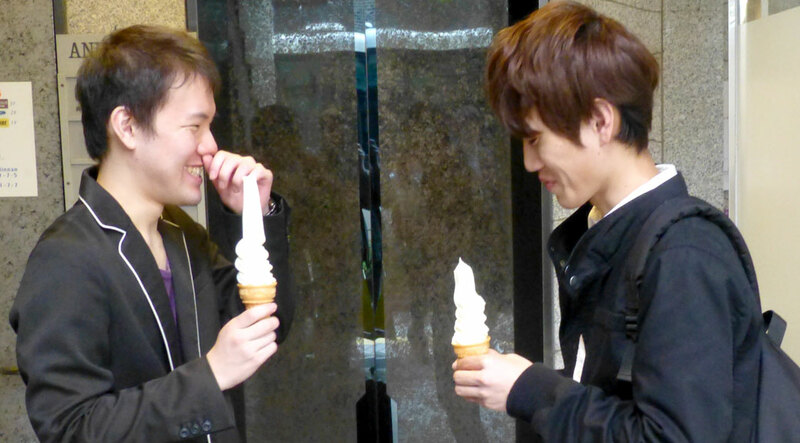 These guys were really enjoying their ice cream towers from Shiroichi. We walked up Takeshita Street, which is the crammed-with-tourists home of Harajuku’s fashion movement. The video screen captures visitors in their last seconds of freedom before crowd-induced claustrophobia takes over. 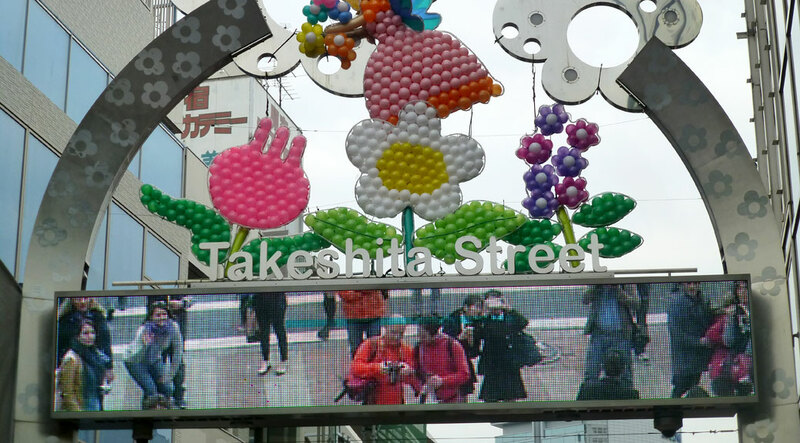 The camera on Takeshita Street’s gate projects visitors onto the screen. Viktoria is in the gray sweater at far-left. We finished our big day out at Baird Brewing. 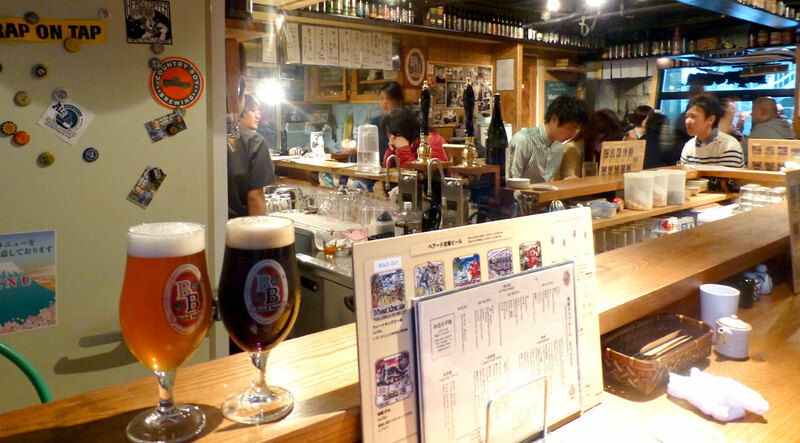 At some point I’ll write a post about the beer “scene” in Japan, but on this day, we found a good one. Bryan Baird, a brewer with Pacific Northwest connections, has brought true craft brewing to Tokyo. The pub food was fantastic—we had grilled tofu, shitake mushrooms and edamame—but someone should tell the Japanese that you need to serve some carbs with beer approaching 10% ABV. Reminders of home surrounded us in the corner of the bar. A postcard from Portland sat on the shelf to our left. Oregon breweries were well represented in the swiped coasters that lined the top of the bar. Before we left, the bartender asked where we were from. I told him Oregon and he got very excited. He says “hold on…” and heads into the keg cooler. He comes back out with a 22-ounce bottle of Portland’s own Upright Brewing “Seven” and a big smile on his face. Apparently he’d just returned from his own craft beer pilgrimage to the Rose City. I look forward to the opportunity to explore those alleyways again soon.